1:10 scale pre-painted PVC statue of Daredevil! Black suit version inspired by the The Defenders comic series! Based on the illustrations of Dale Keown. Statue has magnets in the feet for stable display on the included metal display base. 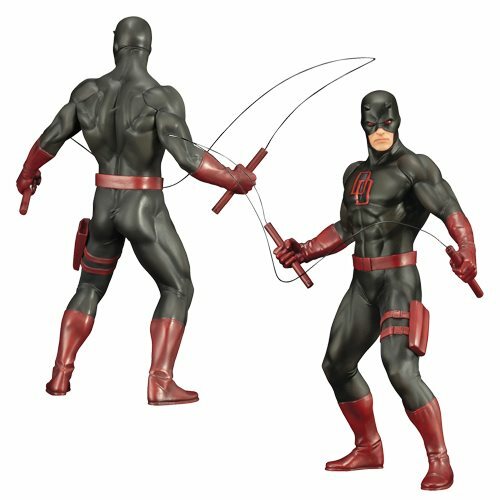 This Marvel Defenders Daredevil Black Suit Version ArtFX+ Statue is based on the illustrations of Dale Keown for the The Defenders comic series. The 1:10 scale pre-painted PVC statue has magnets in the feet for stable display on the included metal display base. Display Daredevil alone or alongside the rest of the Defenders ArtFX+ Statues (Jessica Jones, Luke Cage, and Iron First), sold separately.